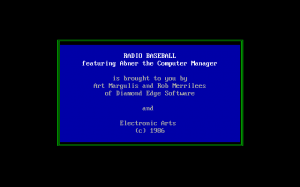 This game is a combo of managerial and play elements in baseball. You can pick from 25 recent World Series, All-Star and All-Time Classic teams. 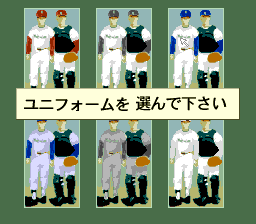 Choose your player lineup based on a player's batting average, fielding percentage, or ERA and other statistics. If you are unhappy with their performance, you can change them or even trade players. 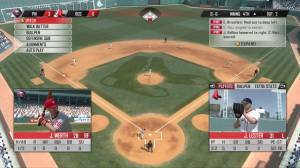 In the Statistical gameplay option you only manage the team and give orders like: change fielder/batter order, intentional walk, move infield in, hit and run, steal base, and bunt/sacrifice. 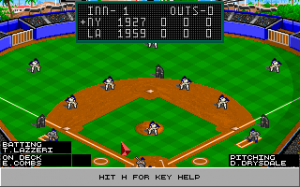 In the Interactive Player Controlled Game, you pitch, hit and field the ball as well as managing the team.